Z-shaped staircase for traffic flow, space utilization and backyard access. Wraparound or bi-directional deck stairs for improved traffic flow, space utilization and yard access. 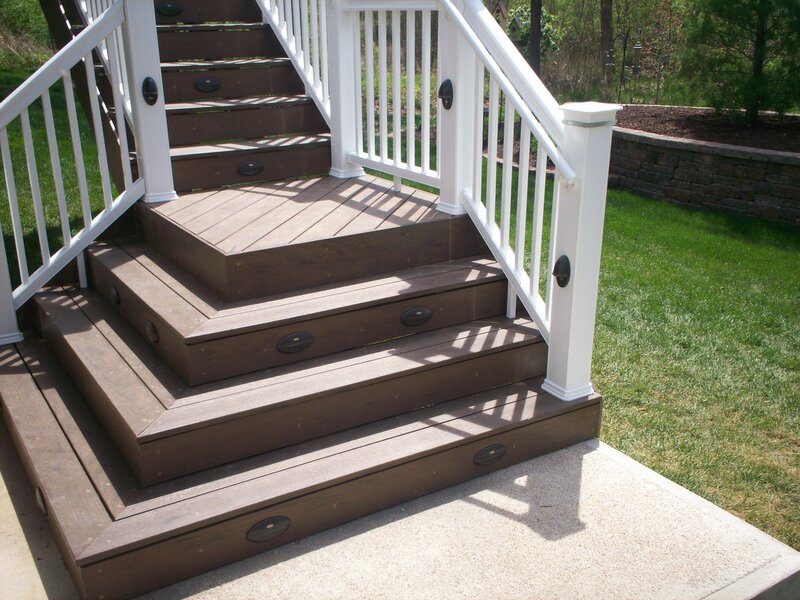 A double set of steps or stairs for platform or raised decks. 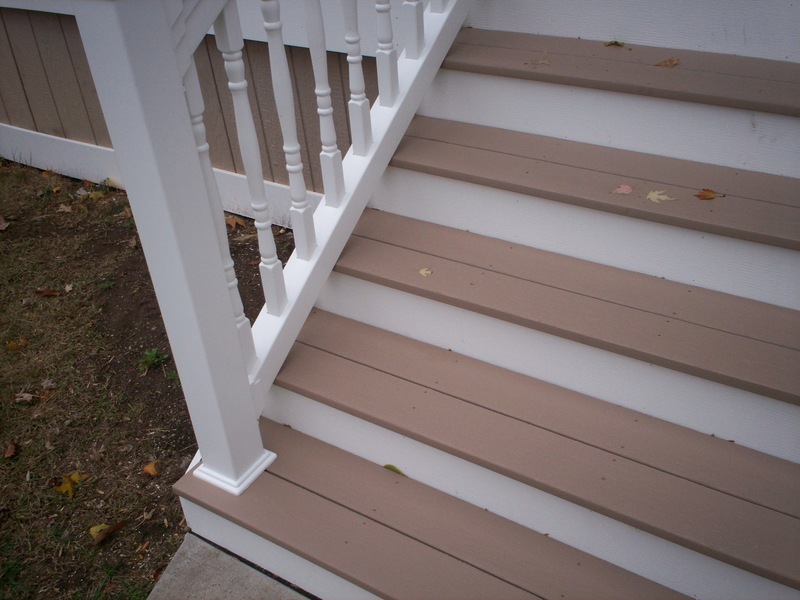 Multiple staircases and steps for two-story projects or decks with level changes. Deck steps and stairs with built-in lighting for ambiance and safety. Spiral staircase for decorative appeal, ideal for decks or porches with minimal ground space. With new, exciting designs and building materials coming to market every year, the choices are plenty but can become overwhelming. 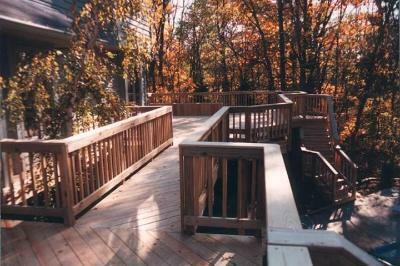 Archadeck, however, has decades of experience to guide you through the design and construction process. We’ll find the perfect stair match for your outdoor living project. Taking into account your home and backyard, existing space parameters, safety considerations for children or pets, and overall traffic flow, we’ll help you narrow-down options. No detail will be overlooked. A great contractor will be with you ‘every step of the way’. With Archadeck, your outdoor living project, including steps and stairs, will ‘stand out’, complementing your home and reflecting your personal style. 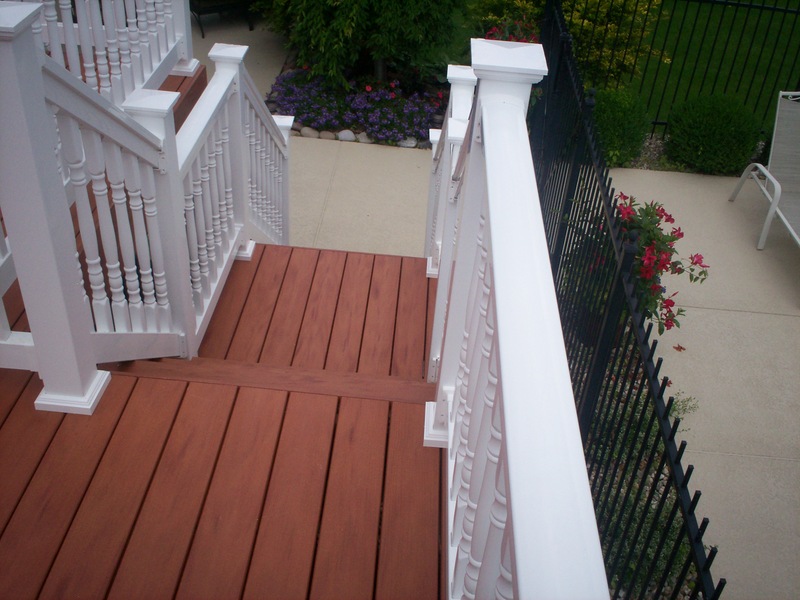 If you live in the Greater St. Louis area visit west-county.archadeck.com for more steps and stair ideas or call 636.227.0800. Archadeck, founded in 1980, is the nation’s most recognized and trusted builder of outdoor living spaces including decks, porches, pergolas, gazebos, under deck rooms, patio enclosures, pool and spa decking with shade… and more!